She's coming to the Twin Cities to perform in a jazz club setting with a piano trio. 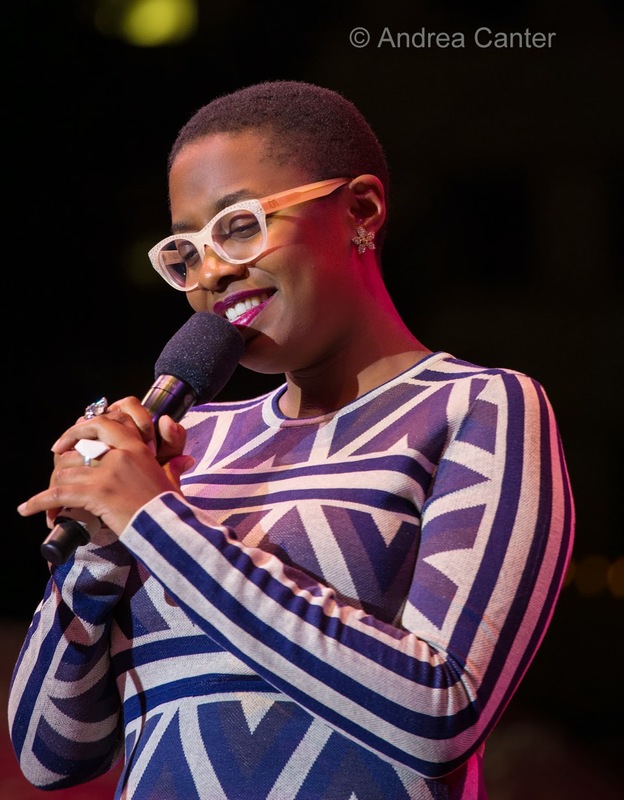 I can't think of a more ideal context to hear vocalist Cecile McLorin Salvant. I did see hear last September at the Detroit Jazz Festival. In sharp contrast to the small ensemble environs of her Grammy-nominated, debut recording (Woman Child, Mack Avenue), in Detroit she fronted a big band. I was curious how the searing songwriting and impassioned interpretations of mostly early, even obscure 20th century songs that defined her recording would translate to a big band in an outdoor arena. Fact is, Cecile McLorin Salvant can sing anything, anywhere. In front of the big band, her inner Ella and Sarah rose to the occasion -- she can swing hard, deliver a story that fiercely holds your attention to every detail, and convince you that she is having fun doing it. And make you forget that she can also deliver very different stories as a sultry coquette, a tribal priestess, a wistful waif, a seriously independent 24-year-old carrying the mantle of jazz singing, from Bessie Smith and Billie Holiday to Ella Fitzgerald and Sarah Vaughan, to Betty Smith and Abbey Lincoln. That could be an unbearable weight of tradition and innovation, but Cecile McLorin Salvant seems to have the strength of talent and conviction to hold that mantle high without losing herself in it. Sunday night at the Dakota, I can see the youngest-ever winner of the Monk Competition, a 2014 Grammy nominee, the 2014 Jazz Times Critics' New Artist and Female Vocalist of the Year, this "Woman Child" on stage, bringing to life a history and a future. In her voice, there is no doubt. Jazz is alive.